Eloïse woke up very excited this morning because today was the day that she was going to get to finish the bag that she’s been working on at school and bring it home. 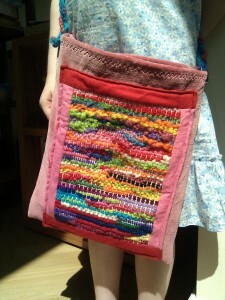 She been cross-stitching it for a few weeks and then she made the strap with yarn and got to sew that on today. 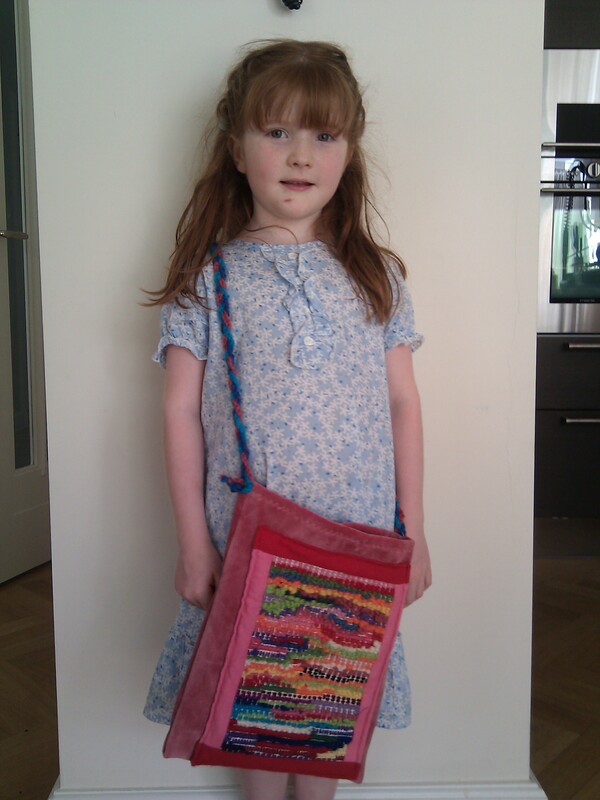 Her teacher made the bag part and attached the cross-stitch, I think. She is extremely proud of it. It’s my favorite thing that she’s made at school so far. This entry was posted in Children, Photographs. Bookmark the permalink. Yvette is a very dedicated teacher. With 30 kids in the class she must always be crafting a birthday gift or in this case a bag. that is a really beautiful bag. good job Eloise!